"Crazed nights, passionate fights, velvet rope and scarlet lips...Champagne highs, dirty basslines, Coco de Mer and whirlwind kisses...Green monster eyes, blood stained cries, firecrackers and broken glass...Knives in backs, nails that scratch, Vegas sins and diamond masks..."
Hell yeah! Rock on Wolfette. This album is going to be FIRE. 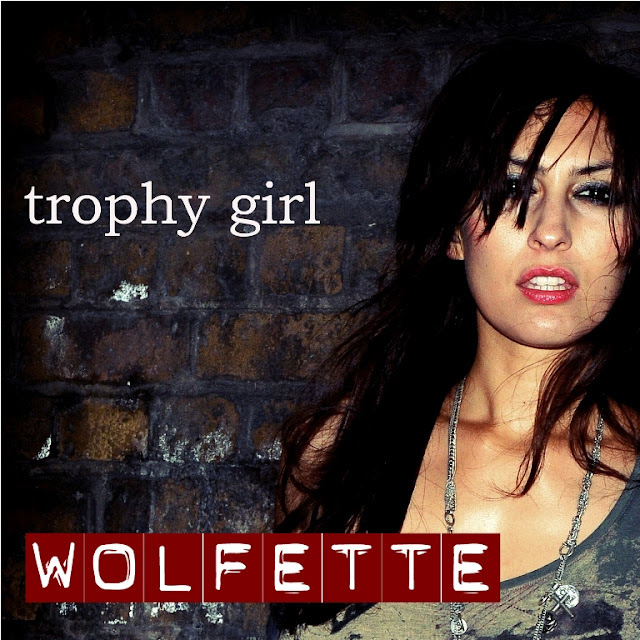 "Trophy Girl" is out now on UK iTunes HERE and on U.S. iTunes HERE.